Big, generously filled and so easy to prepare. 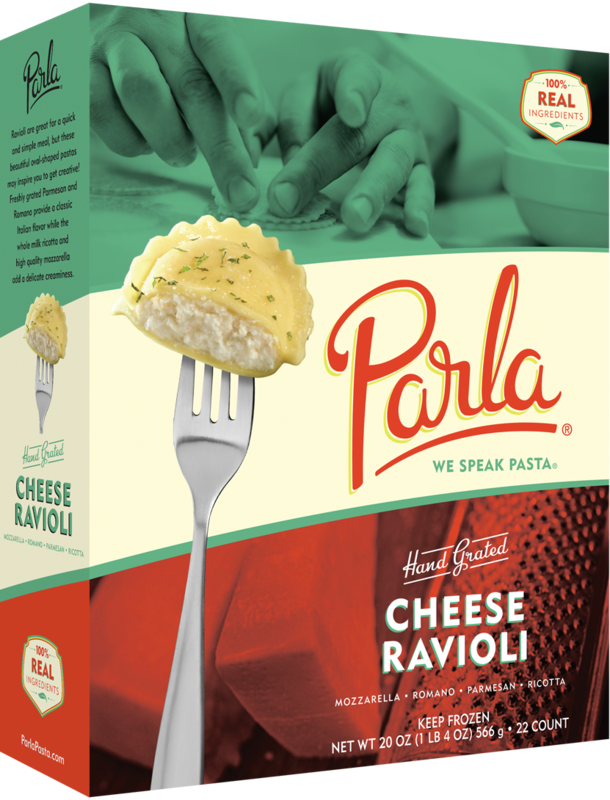 Our ravioli’s freshly grated Parmesan and Romano cheeses provide a classic Italian flavor, while the whole milk ricotta and high quality mozzarella add a delicate creaminess. While great for a quick and simple meal, these beautiful oval pastas may inspire you to get creative! This classic Italian ravioli is perfect under a blanket of marinara or meat sauce. For an extra hearty meal, prepare with chicken, turkey, beef, or bison. Or, if you really want to "speak Italian," mix in finely shredded prosciutto.